The Personalised Package is by far the most popular. Preparing a personalised ceremony takes time for me to get to know you well, but the end result is always moving, joyous and memorable. This package allows you and me to tailor the ceremony exactly to your requirements; it is a truly bespoke celebration. Working together with you, it is my job to create your ‘story’, so that all your guests understand how you got to this point in your lives. A personalised ceremony gives everyone attending the wedding the opportunity to feel connected. There are so many rituals and cultural themes that can be woven into your marriage ceremony. 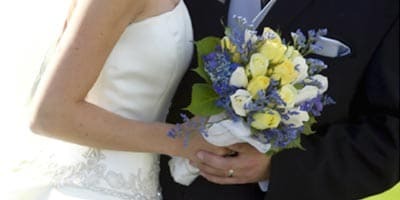 Your wedding day is a ‘bringing together’ of the most important people in your life: your loved ones, family and friends. When you commit to each in front of your guests, I will ensure it is personal and genuine. A personalised wedding ceremony reflects your individualities and signals the beginning of your future lives together. Weddings can be expensive, but when you choose the Essentials Package, you will have a ceremony to remember while keeping the costs down. I use a shorter, pre-written ceremony that is still dignified, joyful and memorable. You can save even more on the cost of your Essentials Package wedding if you choose to celebrate your special day on a Friday or midweek. See pricing for details. This is the package for couples who want a “short and sweet” celebration. For some people, the idea of a big wedding with all the expense and drama is not an option; they just want a simple ceremony, but still one to remember. This package will also suit you if you are planning an overseas wedding but want to have the legal registration in Australia. Remember you will need two witnesses over the age of 18 years. How much will it cost for my ceremony? Perhaps, a better question is – what will it cost you if you choose only on price? Remember, each special occasion is one you remember for the rest of your life. 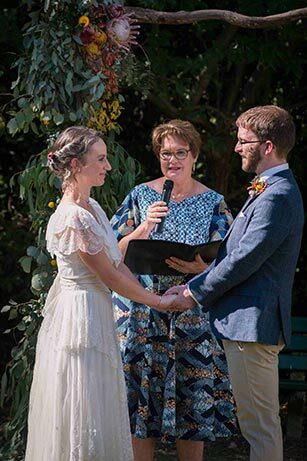 Choosing the right celebrant for you as a couple will deliver you more than the dollars you pay! Of course, budget is important for most couples planning a wedding but always aim to make sure that the ceremony is the best you can afford. Below are my fees for the three levels of wedding packages I offer. For a weekend Personalised Package, the cost is $750.00. On Friday or mid-week, the price is $600.00. My fee reflects the many hours of work involved in creating a bespoke, truly personalised ceremony for you to cherish forever. I am also pleased to work closely with your photographer to make sure they capture beautiful photos that you will treasure in years to come. For a weekend Essentials Package, the cost is $600.00. On Friday or mid-week, the price is $450.00. This Basics Package is available Monday to Thursday, only in the city environs. The cost of this no fuss, “legals-only” ceremony is $300. A registry office wedding ceremony will cost you about the same money but there is no flexibility. 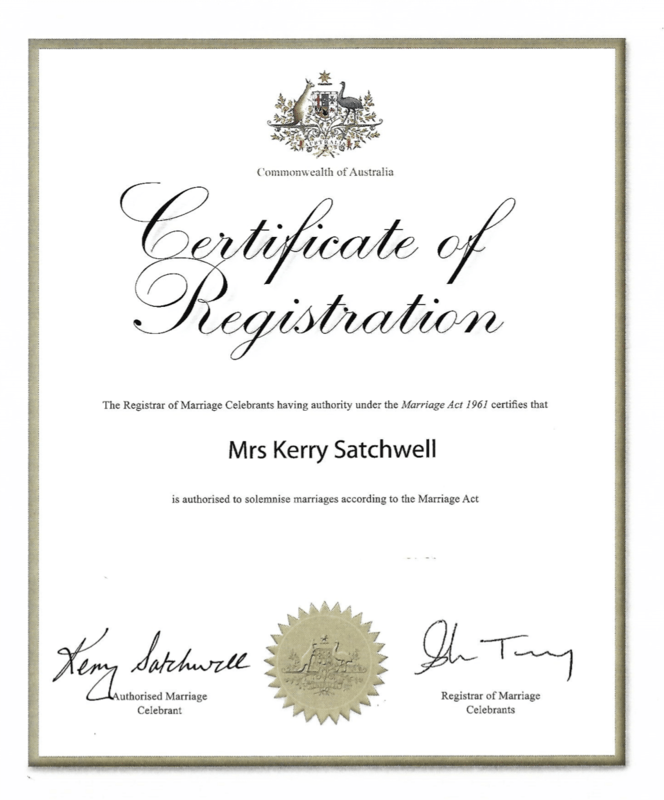 You must go to the registry office in business hours, you have little or no say in the ceremony content and you may not even meet your celebrant until a few minutes before the ceremony. 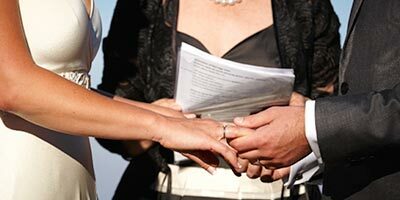 Want to learn the steps required to marry in Australia?